using voice search we can by text in our mail, send a message, sent to Chat and to use to prepare a document in pages, numbers, keynote and Google products like Google doc and more. Are you not getting microphone icon or missing microphone option on iOS keyboard. Let’s enable and fix it. 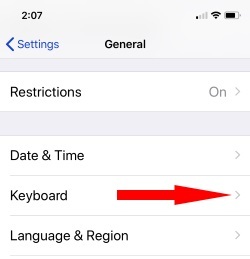 Using the iPhone setting, we can enable or fix missing microphone keyboard icon or button on iPhone/iPad keyboard. There are few changes in settings for enable dictation in ios 11. Next to the settings → general and tap on a keyboard. For all settings relates to a keyboard. Under the speech → enable dictation. This allows all the app for using your Microphone on iPhone. 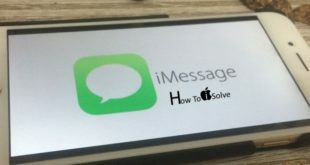 We can start dictation on any iPhone model from settings that help in talking to text iPhone x/8/8 plus/iPhone 7/iPhone 7 plus/iPhone 6/6 plus and iPhone 5s. Here is the force restart iPhone 7/7 plus. or Force Restart iPhone x. For quick type, we can use apple headphone on iPhone/iPad that works amazingly just like Siri. On your keyboard pane, tap on the microphone icon. This enables Siri features on your iPhone, go with natural sound or speech and quickly type what you speak. That works with external headphone or no headphone/ Microphone. Back to keyboard pane, tap on keyboard icon. restore to clean install iOS make your iPhone/iPad errorless. here’s how to Backup my iPhone/iPad then clean install the new iOS and restore back all the data. this process removes all the data temporarily and copy old data on fresh iOS and set all the Settings, Documents and Data as it is. You are also looking for the solution on globe icon missing on your iPhone/iPad keyboard. iPhone X users might be getting trouble to find microphone icon on the keyboard. Because sometimes it comes at the bottom right corner of the screen or near to space key. There are too many third-party apps and software for PC/Mac for voice recognition, but for my case, it’s perfect for the iOS users.